A liquid detergent designed for use in combination with a recommended liquid laundry break in automated laundry dispensing systems. The combination of these products provides the ultimate in cleaning performance, economy and flexibility. It rapidly wets and penetrates cloth, lifts soil, emulsifies greases and oils and prevents soil redeposition. 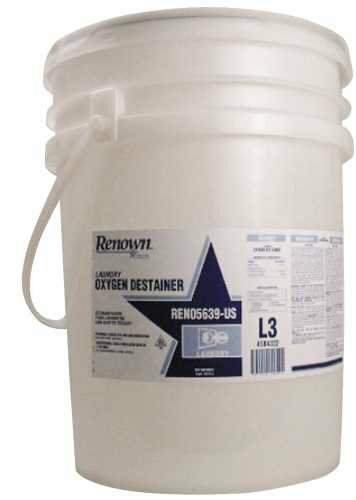 5 gallon pail - Manufacturer: Renown.